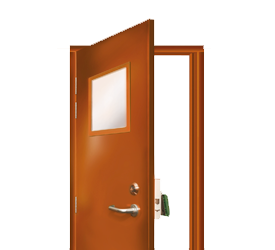 Usage key: Doors are suitable for the applications shown. 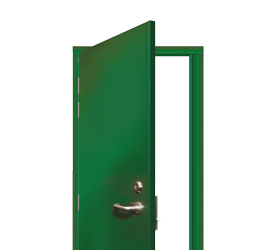 The ExecDoor® is a range of rated single leaf, leaf and a half and double leaf steel security doors to be utilised in situations where an increased deterrence is required. 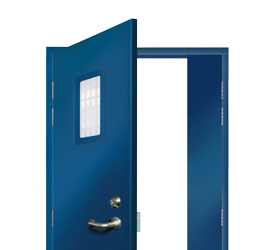 The doors are certified to LPS1175 Security Rating 1 and 2. Typical applications for the ExecDoor® include leisure facilities, schools, universities, housing association communal areas and general retail outlets. 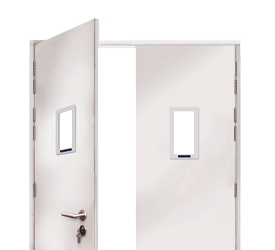 Single, leaf-and-a-half and double leaf, outward opening steel doors with single and multi point locking options. 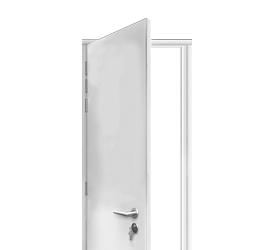 ExecDoor 1 can be specified with an overpanel which can be either fixed, removable or hinged, to a maximum overall height of 3210mm. 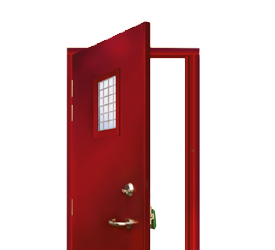 Single, leaf-and-a-half and double leaf, outward opening steel doorsets with single or multi point locking options. ExecDoor 2 can be fitted with the Excluglass®2 or Vistamatic Sherman® vision panel when both security and vision is critical. The ExcluDoor range provides exceptional security to LPS 1175 Security Rating 3, and is available with three key variants. Compliant to CPNI and Secure by Design requirement, Excludoor has a Fire rating of up to four hours in the MK3 FR version and can also incorporate vison panels in either single or double leaf. With a diverse range of locking options including access control, the Excludoor 3 range is versatile to accommodate most specification needs when the SR3 rating is required. A comprehensive range of single, leaf-and-a-half and double leaf security doorsets available with a wide selection of additions and locking options. This version is available as ‘extra height’ single, leaf-and-a-half and double doorsets which can incorporate an ExcluGlass® SR3 vision panel and/or an ExcluVent® SR3 ventilated panel. They are certified to LPS 1175 Issue 7 Level SR3. Fire rated for up to four hours and can incorporate a high security ExcluGlass® 4 vision panel with both one and two hour fire rating. Can be supplied with push pad or panic bar options. Steel security doors certified to LPS 1175 Issue 7 Level SR3. 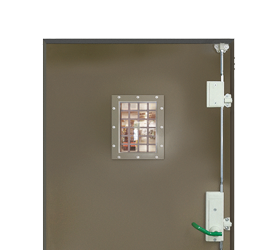 A range of single, leaf-and-a-half and double leaf high security fire rated steel doorsets, certified to LPS 1175 Issue 7 Level SR4, which can also incorporate an ExcluGlass® 4 Vision Panel with SR4 security rating. 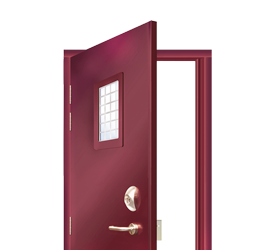 A wide range of single, leaf-and-a-half and double leaf security doorsets available with a wide selection of additions and locking options. A wide range of single, leaf-and-a-half and double leaf security doorsets available with single point locking and ExcluGass® 6 vision panel.